Stephen Curry sat on the bench with his head in his hands, facing another injury that could derail Golden State's playoff run. Despite the Curry injury, the Warriors used a huge third quarter to pull away from the Houston Rockets and cruise to a 121-94 victory on Sunday that gave them a 3-1 lead in the first-round playoff series. Klay Thompson made four of his seven 3s in the third as the Warriors made a franchise playoff-record eight in that quarter en route to an NBA playoff-record 21. Curry slid awkwardly to the court while defending on the last play before halftime and immediately grabbed his knee. He got up and looked to have trouble putting weight on it before jogging with a limp to the locker room. He came out with the team after halftime, but sat on the bench for most of the warmup time. After talking with coaches, he returned to the locker room. 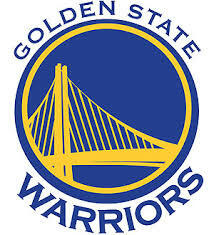 Curry returned after missing two games with a sprained right ankle, but did not play in the second half after spraining his right knee on the final play of the second quarter. He'll have an MRI on Monday. Andre Iguodala added a season-high 22 points and Green finished with 18. Golden State used a 41-point third quarter to take control of the game. The Warriors bested the NBA record they shared for 3s in a playoff game - set last year against these Rockets - when Brandon Rush made one from the top of the key with about 2 1/2 minutes left.